The 14th Apostolic journey abroad of Pope Francis is to Armenia, a landlocked mountainous nation which borders Turkey to the west, to the East Azerbaijan, to the north Georgia and to the South Iran. This visit, to the first country ever to adopt Christianity as a state religion, begins in the nation’s capital Yerevan and sports a logo which highlights this historic factor along with the dates of the journey which are the 24th to the 26th of June. It’s a circular logo divided in half by two colours: yellow for the Vatican and purple for the Armenian city of Etchmiadzin, seat of the Armenian Apostolic Church where Pope Francis will be staying. Within the design one can spy the outlines of two significant places in Armenia: snow capped Mount Ararat with its biblical connotations and the Monastery of Kor Virap located on its flanks, which Pope Francis will also visit. A significant monastery where Gregory the Illuminator, credited for the conversion of this nation to Christianity in 301, so at the beginning of the fourth century, was once held prisoner at the bottom of a well. As we know Pope Francis travels to Armenia in the footsteps of John Paul II who came here in 2001. But there’s an earlier pope connected in a special way to this nation, to be precise, to its darkest chapter. “The Vatican’s relations with the Ottoman Government in Istanbul, had not been good for a long time, but they deteriorated further during the course of the war, due to the Turk’s treatment of Christian populations in their empire and most particularly, the massacre of the Armenians, who were considered disloyal. In April and May 1915 a campaign of what would now be called ‘ethnic cleansing’ was launched against the Christian, mainly Armenian, populations of Anatolia. In July the Apostolic delegate in Constantinople, Monsignor Dolci was instructed to protest against the massacres; the governments of Germany and Austria-Hungary were also asked to bring pressure to bear on their ally to stop the killings, and Benedict himself sent an autograph letter on the 10th of September to the Sultan who in his role as Caliph of Islam, was like the Pope a world-wide religious leader. 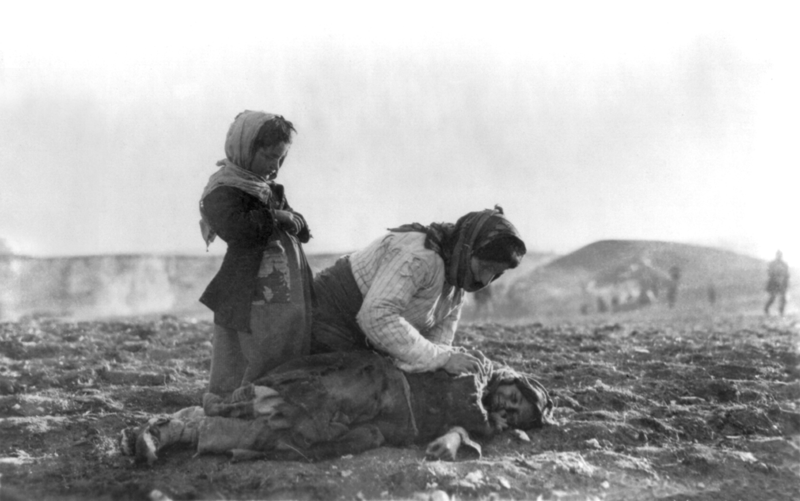 By the end of the war it was estimated that over a million Armenians had died, either killed outright by the Turks or as a result of maltreatment by starvation”. For the record on March 12, 1918, Pope Benedict XV sent a second letter to Sultan Muhammad V. But while his diplomatic endeavors may have fallen on deaf ears his humanitarian efforts in assisting Armenian refugees did not, it seems. According to the Jesuit magazine ‘La Civiltà Cattolica’ at the time the Holy See: “mobilized a continual flow of financial aid and supplies in an era when there were no other international humanitarian organizations beyond the Red Cross and the Near East relief.” Significantly too, at the time Benedict XV opened the doors of his summer residence, the Apostolic Palace of Castelgandolfo, to young orphaned refugees from Armenia. Proof of this is that on Saturday 25th of June when Pope Francis pays tribute to the fallen at the ‘Tzitzernakaberd’ Memorial complex dedicated to the fallen during the massacres of the Armenian population under the Ottoman Empire, which the people of this nation refer to as the ‘Medz Yeghern’ (Great Evil), he’ll be meeting with ten descendants of these same Armenian refugees.